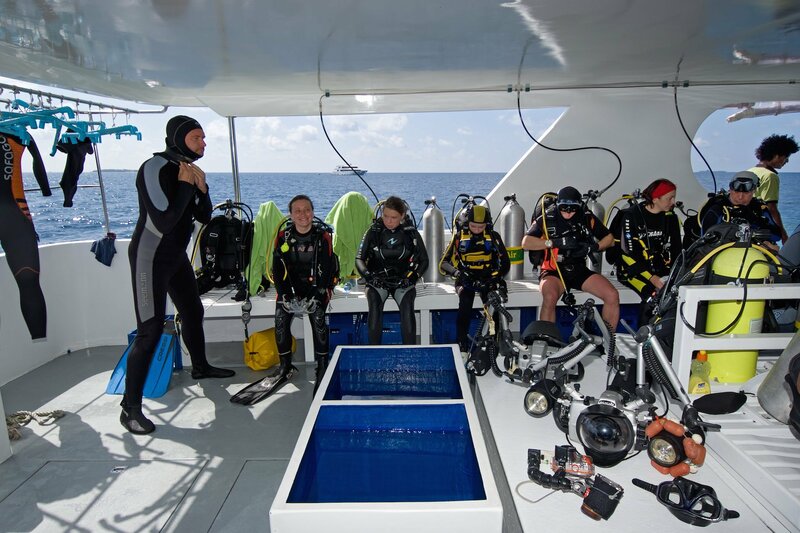 The Carpe Vita Explorer is designed to offer surfers and divers top service. 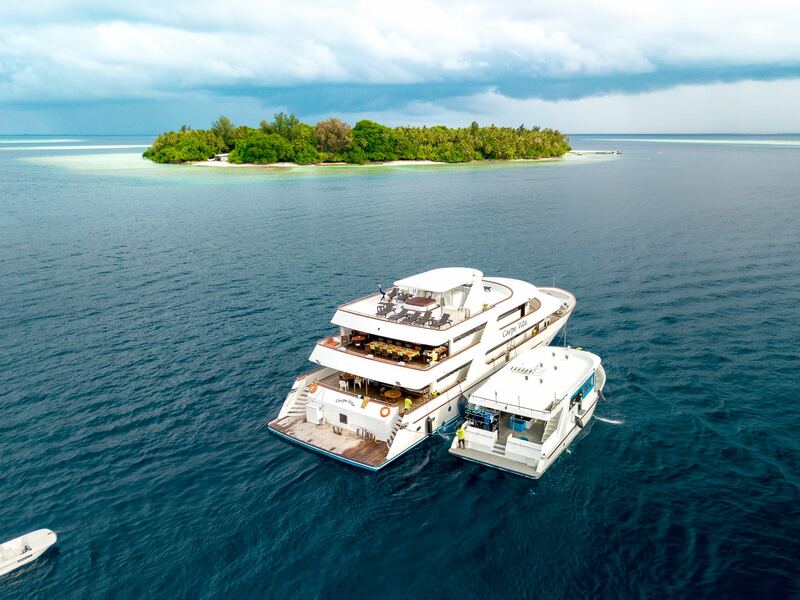 It’s a luxury yacht with 10 air-conditioned suites with private bathroom, sleeping up to 20 people maximum. On surf trips they take maximum 12 surfers. The luxury yacht offers wifi onboard. It has lots of inside and outside space for relaxing in between sessions with a jacuzzi on the top sun deck. 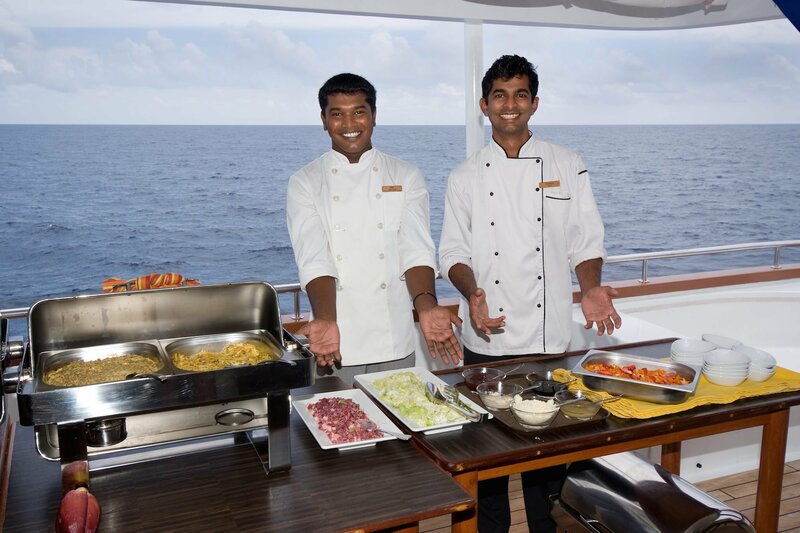 The Carpe Vita caters for 7 and 10 night cruises. 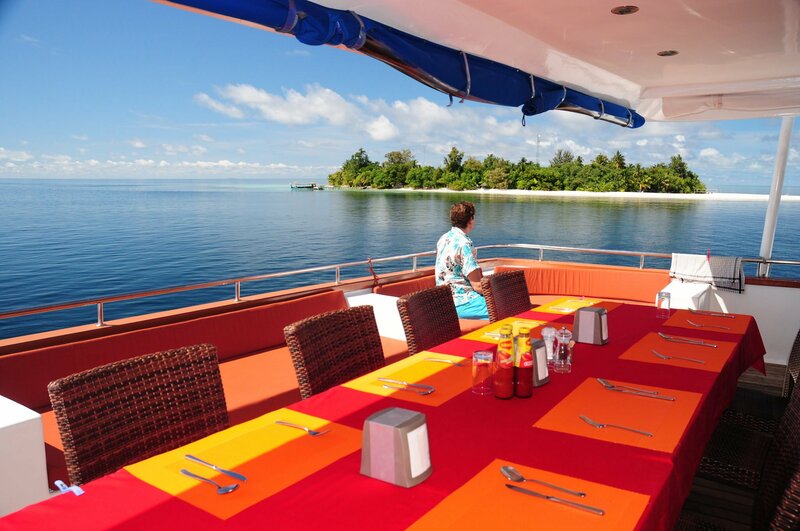 They take full charter, half charter and individual booking requests, depending on the season. Custom quotes on request. The Carpe Vita Explorer was rated top 10 Liveaboards in the World in 2017 & 2018. In other words, it is one of the most luxurious boats to nourish your adrenaline-filled Maldivian dreams. On the other hand, you can retreat in your en-suite cabin and relax on the sundeck with jacuzzi. Above all, the Carpe Vita Explorer is the ideal choice for groups of up to 20 people. 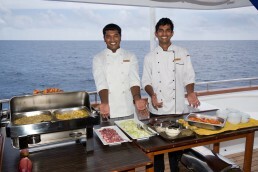 Catering for friends, family, couples and solo travellers. Exploring different surfing, diving and fishing itineraries. 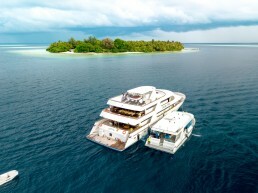 Cruising around northern, central and southern atolls in Maldives. 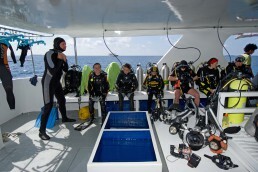 While offering up to 4 dive or surf sessions a day. 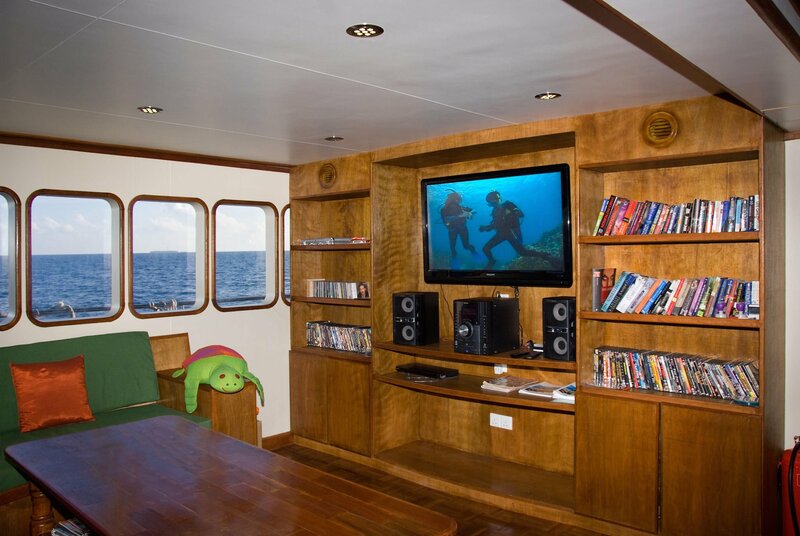 The Carpe Vita Explorer offers 10 comfortable cabins with different standards, divided over 3 decks. 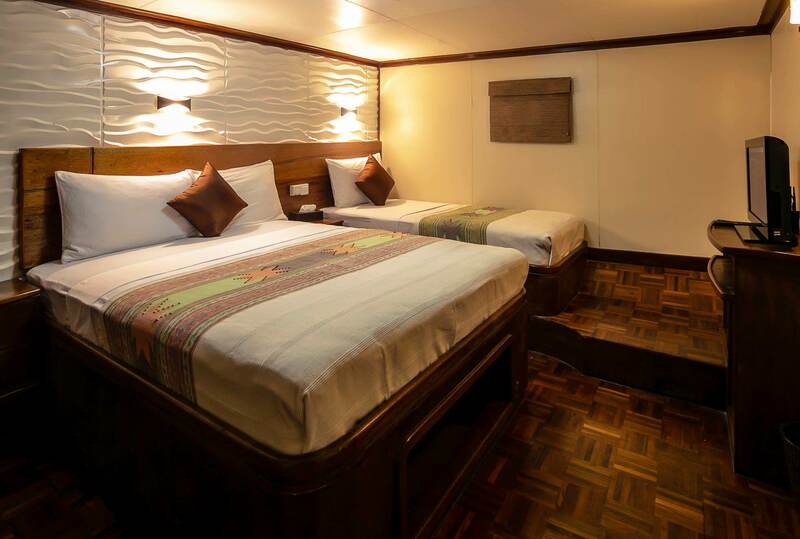 All cabins are fully air-conditioned with a private bathroom. They have a deposit box and a TV screen connected to the server with the latest movies. Firstly, the lower deck offers 6 standard cabins, crew cabins and the engine room. 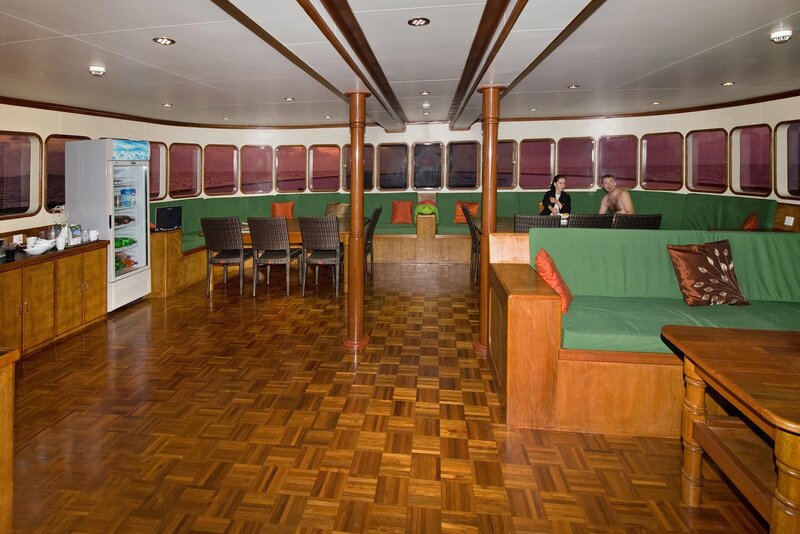 Secondly, the main deck comprises the air-conditioned lounge area with buffet and entertainment area. With a comfortable sitting area that has several plug points for laptops and a camera recharging table. Further, the main deck has 2 superior rooms. It has a platform with fresh water showers and storage area. 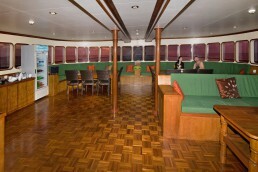 The upper deck and bridge area is where you can accompany the captain while driving the boat. Here you can enjoy the fabulous views from a large sitting area in the shade. 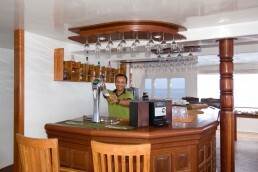 In addition, it comprises the beautiful and spacious suite rooms. And the main open-air dining and bar area. Created to enjoy the fine dining prepared by our chef. 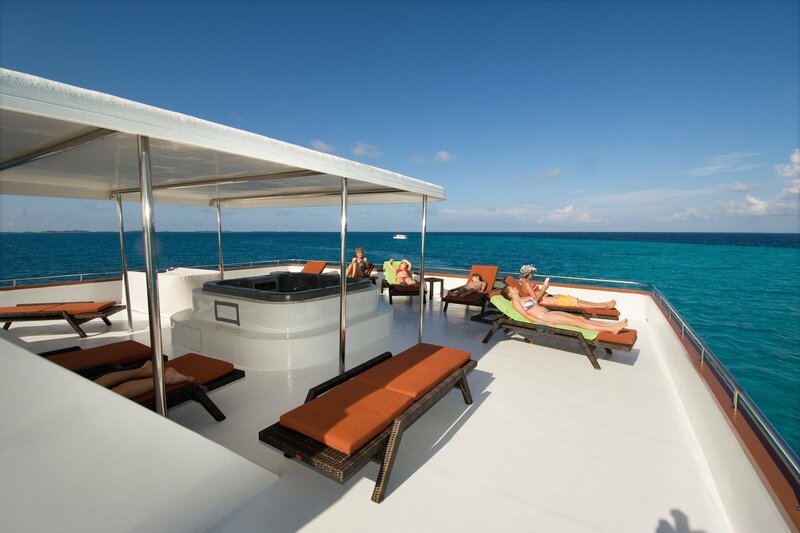 Lastly, there is the sun deck which is partially shaded and has the jacuzzi and lounge chairs to catch a tan. 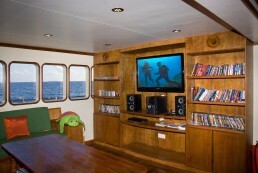 The Carpe Vita Explorer has wifi throughout and offers the highest comfort and facilities. So you can explore the Maldives, which is a real dive, surf, fishing and cruising paradise.